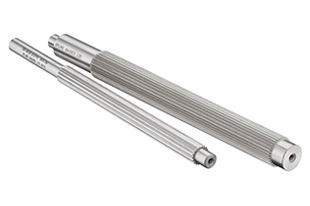 Splined Tapered Mandrels are used for the inspection of the concentricity of an internal spline relative to another component feature such as a diameter. The mandrel has tapered teeth for side fits splines or tapered major diameter for major diameter fit splines. Spline also have the capabilities to produce Straight or Helical Tapered Mandrels to suit customers exact requirements. For additional information on any of our products or to request a quote please feel free to contact a member of our team by filling out the form provided in the contact us section.